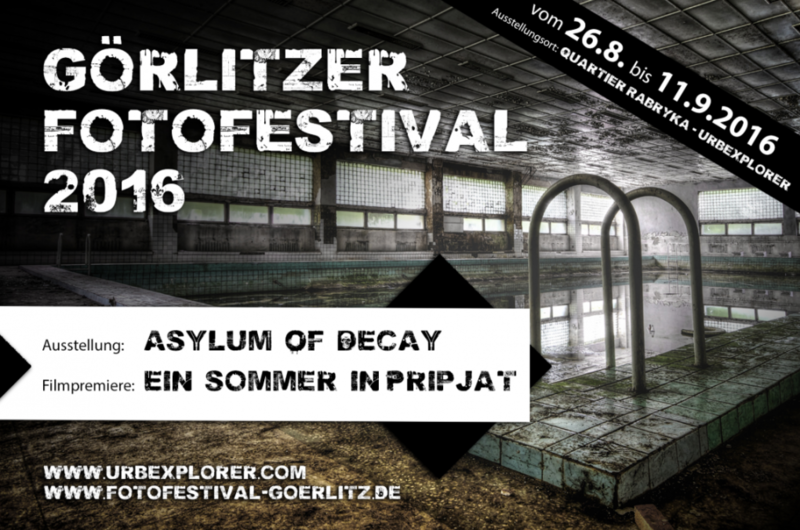 At Photo Festival Urbexplorer presents in the Energiefabrik Görlitz: Film premiere “A Summer in Pripyat” and exhibition “Asylum of Decay” – abandoned churches, enchanted castles or forgotten mansions, gloomy industrial plants or overgrown with ivy sanatoriums. For this, photos can be submitted to Urbexplorer. Take part ! Next Photowalks and Workshops by now!